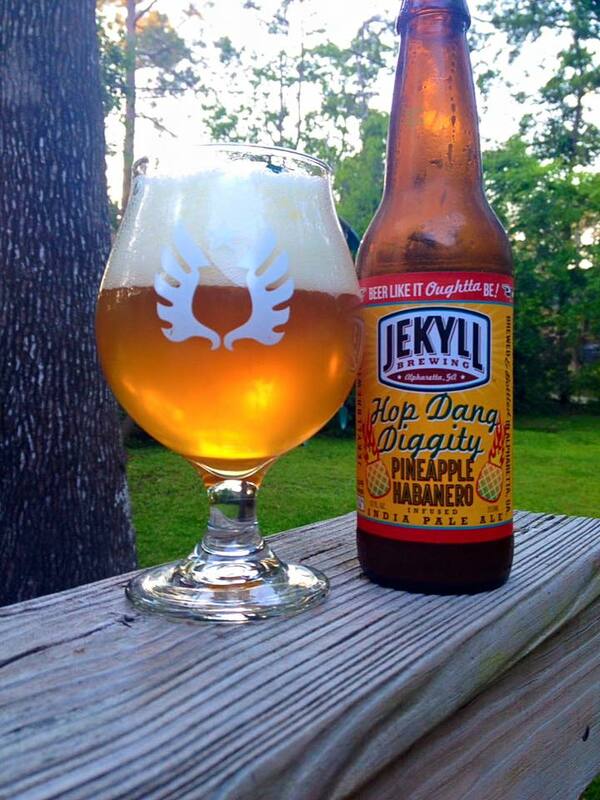 Jekyll Brewing Hop Dang Diggity – Pineapple Habanero Infused is an American IPA, 6.7% ABV, best by 9/11/16. 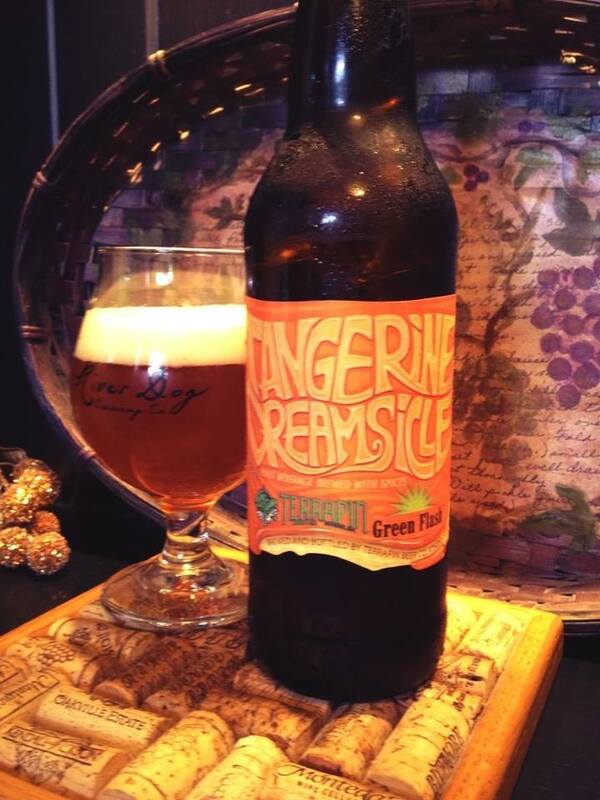 This is their year round IPA infused with pineapple and habanero. 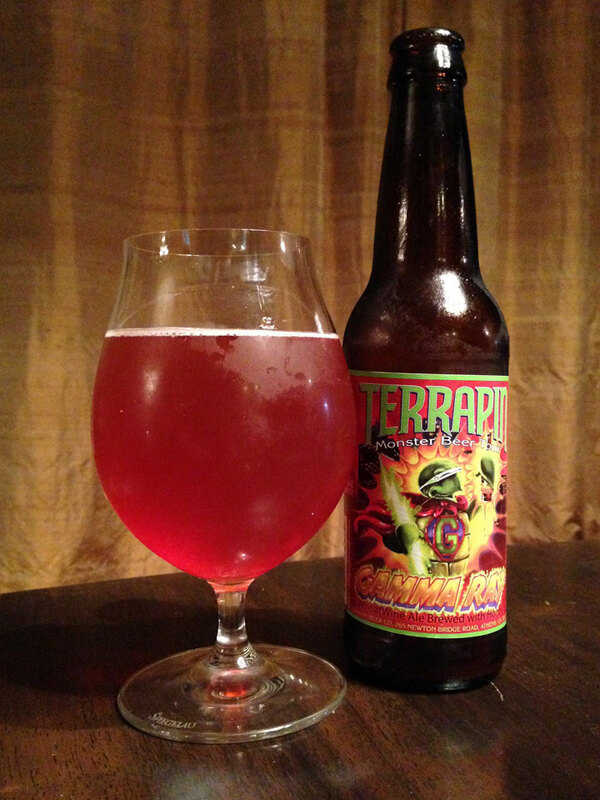 The initial pour is a slightly hazy golden color with an active head that took up almost half the glass. Turns out going back to pour the rest of the bottle was mistake, I now have a murky cloudy beer with a dull orange color. This smell really nice, but not too different from regular Hop Dang Diggity. There might be just a hint of extra pineapple added to the citrus and pine of the base beer. 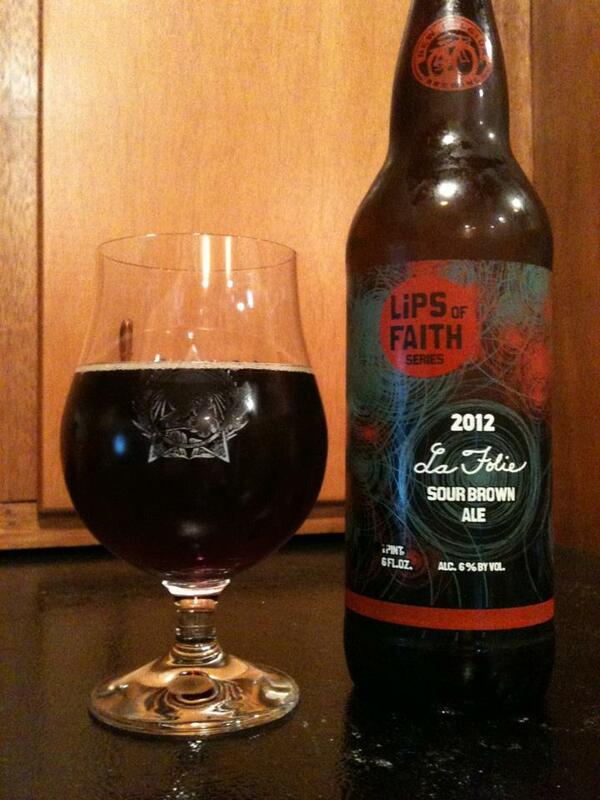 The taste is bringing in a touch of the habanero to the beer, but this doesn’t seem to add enough of the infusion. Not to say this beer is bad, it has all of the things I like in the base, malt sweetness, tropical fruits and a good bitterness; I just want to experience more of what is supposed to make this different. I should point out that between the pour and taste I think this beer is a bit over carbonated. There is just too much buzz and bubble that is giving me the insta-burps! If you are hypersensitive to spice and heat I think you might feel a little burn on this, but otherwise it just isn’t all that different from the original to me.